Please do not deflate waterslides! Extra charges will be added for all deflated slides! 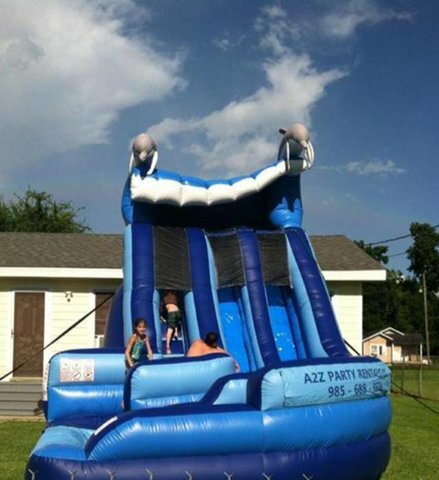 Double your fun-filled day on this 16ft high waterslide with 2 lanes of excitement. Shoot down these wavy sliding lanes & scream around the soft curves before splashing into the pool. Contact us to slide with the dolphins. Slide measures 20L x 14W x 16H.